I promise to have the final post in the Reset + Renew series up by Sunday! It was my hardest post to write, so it took longer than expected! 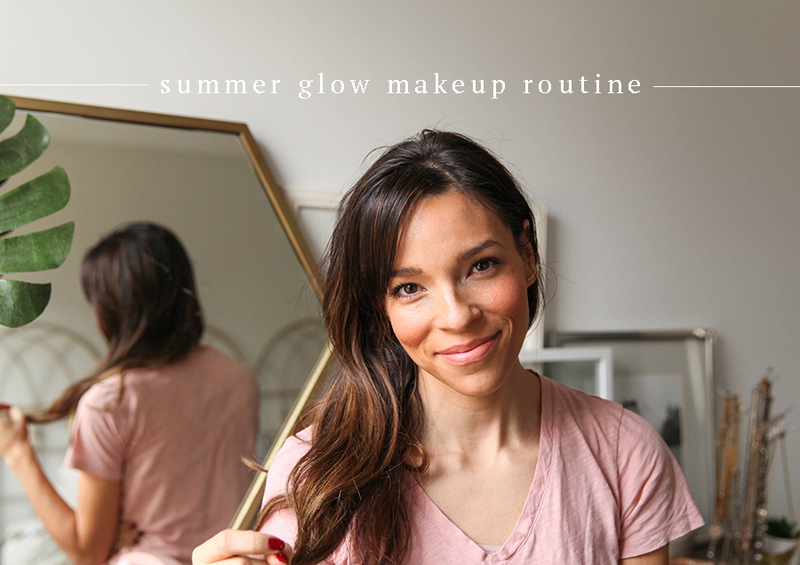 In the meantime, after posting about makeup organization, I went ahead and filmed my quick makeup routine to get rid of the pale complexion the winter so kindly delivered! Apologies the video isn’t super clear. It was the best light I could get, but at least shows the order how I blend and apply. This is something I swore I would never film, but it’s the year for kicking fears in the face! All products are chemical and toxin free using plant based ingredients, and rate a 0-1 out of 10 on the ewg.org’s skin deep database. Here’s an article that better explains the effects of toxins on our systems! You’re so gorgeous!! Great video and tips. I really love light glory makeup ! Lina did my makeup on my sister’s weeding, she did my makeup light weight and full of glow with glam, everyone was asking me what I used! I was overwhelmed by everyone! After that when I took my makeup lessons for beginners I asked her about this way of makeup and she teach me some steps. I really love this kind of look. On my brother’s reception, Lina Cameron did this same look on me and everyone appriciated so much! I am thinking to take a course under her, as she trains best makeup lessons in my town! What do you think?